Help Combat Climate Change as a Neighborhood Sustainability Steward! 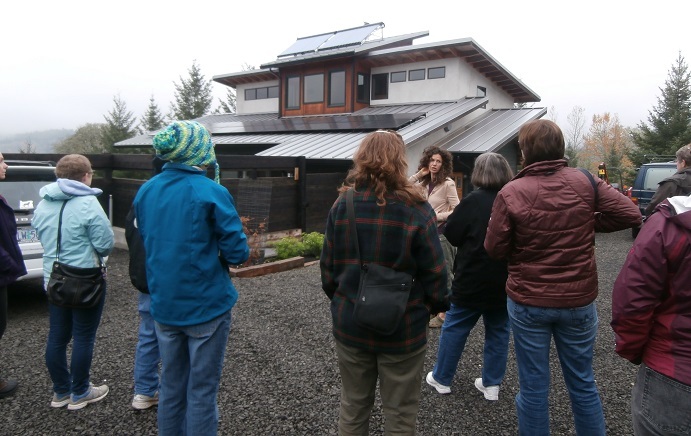 OSU Extension’s innovative Neighborhood Sustainability Stewards volunteer program engages the local community in climate change actions on a household level. Program goals are: to engage the general public in a climate change conversation, to give the public tools to lower CO2 emissions on a household level, and to provide skills to live sustainably in a changing world. Make a difference in your community – join the Neighborhood Sustainability Steward Program! Attend the 8-week course to increase your knowledge of energy savings and sustainable living practices in your own home. Course topics include climate change science, transportation options, energy conservation, sustainable food systems, waste reduction, water conservation, sustainable gardening and landscaping, ecosystems and habitats, outreach and volunteering. The course meets on Monday evenings starting January 26th, 2015. Cost is only $20 and includes field trip transportation. Don’t miss this exciting opportunity to learn how you can do your part to combat climate change. Register today since registration closes Jan. 12. For further information, contact Jody Einerson, 541-766-6311.